When I was a kid my grandfather always told me that if I swallowed my gum it would take seven years to digest and that it would stick to the inside of my stomach. Being a naïve kid at the time I listened to him and never questioned it even though he was wrong when in reality he was just worried about me choking. Swallowing gum is no more harmful than anything else we consume. The sweeteners get absorbed into the body like vitamins and the rest of the ingredients like the softeners and gum base pass through the body normally. Swallowing gum can be dangerous though. 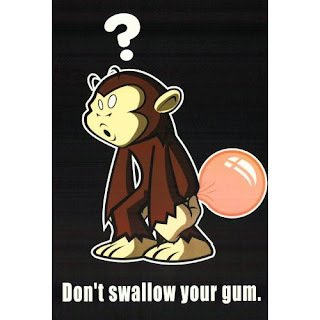 Doing so on a rare occasion is perfectly fine and healthy but it is not wise to swallow gum frequently. Doing so has on occasion caused intestinal issues such as blockage. You also need to be careful especially with kids because gum does cause a big choking hazard. Everyone at some point has gotten that feeling that they’ve been in the current situation before. Déjà vu is mysterious in the fact that we believe we’ve experienced that one moment before, whether in a dream or in a past experience, but cannot pinpoint it. It is believed that déjà vu is the cause of a failure in our recognition memory to distinguish between familiarity and recollection. Familiar memories are when you a remember something but do not know how whereas recollection is when you remember a memory fully. Many studies have been done to study familiarity and recollection. They have found that we remember events as elements of the event but not the event as a whole. Déjà vu occurs when these elements of past evens overlap with our new experiences and the elements seem familiar. When our brain glitches and mixes up this it can make an experience seem familiar. 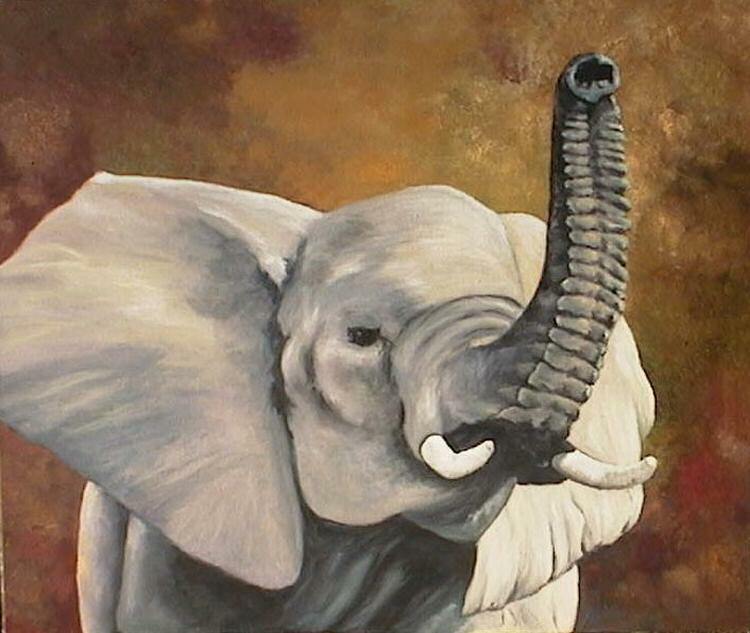 There are many superstitions about elephant pictures and ornaments. The main myths are that the elephant’s trunk must be up and the elephant must be facing the door in which people enter the room. Following these rules is said to bring good luck, happiness, and prosperity. People have been known to place their bad luck on their elephant decorations. This is a popular belief in many cultures and has been seen in movies also. In the movie Bangkok dangerous, Nicholas Cage plays an assassin that has everything under control but when he puts up a picture of an elephant with its nose down his luck has a turn for the worst. Years ago from watching a Friends episode with my dad, I came under the impression that peeing on a jellyfish sting would take the pain away. In the episode Monica, Joey and Chandler were at the beach where Monica got stung. Joey remembered hearing that peeing on a sting take the pain away, and in the end pressured Chandler into peeing on Monica to "cure" her sting. Apparently it turned out fine for that trio, but does peeing on a jellyfish sting really help? A travel site called UpTake posted an article on a first aid guide when getting stung by a jellyfish, and does not mention urine at all. About talks about various things that can and should not be used to treat a jellyfish sting. When being stung by a box jellyfish using vinegar on the wound is the best solution. Vinegar neutralizes the nematocysts so they cannot shoot out venom. When vinegar is not available using salt water is next best, while fresh water should be avoided because it causes the nematoxysts to inject the venom. They go on to mention urine, since urine is mostly fresh water it can actually make the sting worse. It depends a lot on diet, hydration, and other conditions on how effective it will be. While vinegar helps remove pain from box jellyfish stings, it can increase pain of stings from Portuguese Men of War and other physalia stings. UpTake's first aid guide explains how one should remove any remaining stingers with gloves from affected area. Instructs people to use vinegar if they know it is a box jelly, but that the best bet is to just use saltwater to wash the area. There may be some tiny tentacles left in the affected area, so UpTake recommends spreading shaving cream and "shaving" it off with a credit card edge. Drinking Benadryl to avoid allergic reactions and seeking medical attention are also very important. Bottom line, it is unwise to pee on anyones jellyfish sting, as you will have a natural pain relief from the ocean water you were most likely just in to have gotten stung. Keeping vinegar and shaving cream in your beach bag wouldn't hurt either. Since I was little these bracelets have been a familiar thing I have seen, I suppose its because between my aunt and grandmother I'm not sure who was more superstitious. Much like with the Q-Ray bracelet, this piece of jewelery was meant to give the wearer the power of warding off the "evil eye." From country to country the "evil eye" has very different meanings. In Mediterranean cultures, the evil eye apparently has the power to deem you sterile, so men are scared out of their wits. In Latin America, the evil eye brings about fevers and other physical ailments. Often made of deep-blue stained glass, these evil eye charms have also been known to be made up of small detailed mirrors, or some are made simply with a piece of thread.